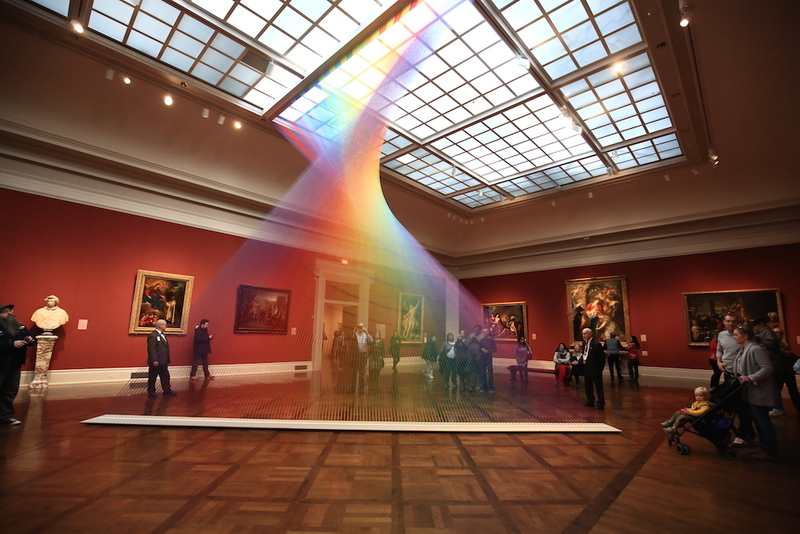 Mexican-born artist, Gabriel Dawe's latest installation at the Toledo Museum of Art's Great Gallery is composed of thousands of multicolour threads, that appear to be refraced light beams. 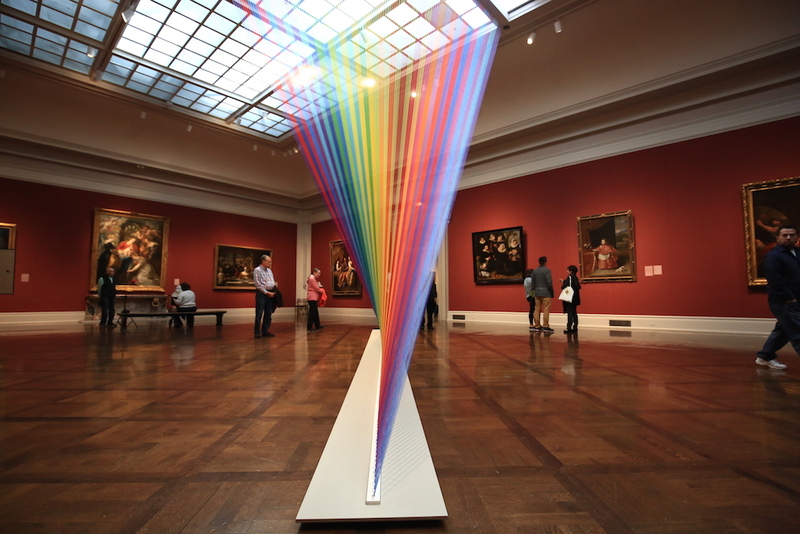 The site-specific installation Plexus no. 35 and on view until January 22, 2017.